WhatsApp is ONE of the most popular apps in the world, almost everybody uses it. 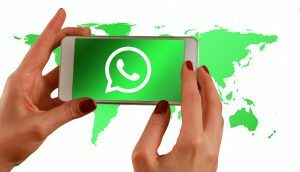 It has a few hidden feature that you might not know about full of hidden and I’ve uncovered 7 of them to help you to get the most out your WhatsApp. So Whether you’re new to using WhatsApp or are a only time WhatsApp addict , you might be missing out on a few of these helpful features. See Who You Talk To The Most? If want to see who talks to you the most on your WhatsApp. For iOS Simply head to Settings > Data and Storage Use > Storage Use. You will see a list of contacts, in the order of who is using the most storage on your phone. You can also Tap on each contact to view more detailed stats, such as the number of messages exchanged, images and GIFs. For Android simply head to Settings > Chat > Chat History > Email Chat to view the same info. You can disable Autosave in order to stop cluttering up your phone and save space by preventing WhatsApp from automatically saving every photo and video you receive. To do this for the iPhone, head to Settings > Chats and turn Save Incoming Media Off. This is feature is not on Android. Going a bit deeper you can disable read receipts in order prevent your WhatsApp friends from knowing whether or not you’ve read there messages whenever you receive them. To this head to Settings > Account > Privacy, then uncheck the box next to Read Receipts. Remember, when you turn off this feature you also won’t be able to know when a friend has read your messages that you sent, but your group chats will still use read receipts. You can set custom alerts for each of your individual contacts to make it easier to know who exactly is messaging your phone without even looking at it. If you’re an iPhone user , Tap on the Name of the Contact when inside a chat thread, then select Custom Notifications. If you’re an Android user, Tap on the Menu icon when inside a chat thread, then View Contact > Custom Notifications. If you need to save a specific conversation, you can do so by simply export it. To do this on an iPhone head inside the chat thread you want to save, then tap on the contact at the top of the screen, scroll to the bottom of the Contact Info page and select Export Chat. For Android users when viewing a conversation that you want to save, Tap on the Menu button, select More > Email Chat. If you want to see what time a message was delivered or read? On your iPhone simply swipe left on a message you sent to view the stats . For Android just long-press on a message, then Tap on the “INFO” icon at the top of your screen. You can use the WhatsApp mute feature to silence a chatty group conversation or any of your friends whenever they start to annoy you. For iPhone users simply open the specific conversation you want to mute, then Tap on the Contact or Group’s name at the top of the screen, then select Mute. WhatsApp has the option to mute a chat from 8 hours to 1 year. I hope you find these WhatsApp features useful and if you have any more hidden WhatsApp features that you want to share please comment below.